We can gladly say that London is constantly developing and changing. New buildings and commercial objects are erected almost every single day. It is possible, among others, thanks to the use of highly durable and reliable scaffoldings provided by our company. B&J Scaffolding has been providing services to over one thousand customers, all of whom have expressed their gratitude and satisfaction with the quality of delivered scaffolds, as well as the punctuality and professionalism during their assembly and disassembly. Regardless of whether you want to build a new habitable or office space or you are determined to renovate an existing one by yourself or with the support of experts, you should always opt for scaffoldings that have been tested, that are exceptionally durable, and that will not pose any threat to the life and health of workers at any time. That is why you should forget about competitive companies that try to lure prospective clients using shady tactics instead on focusing on the most important matter of them all – providing customers with what they truly want and maintaining prices at a relatively low, affordable level. 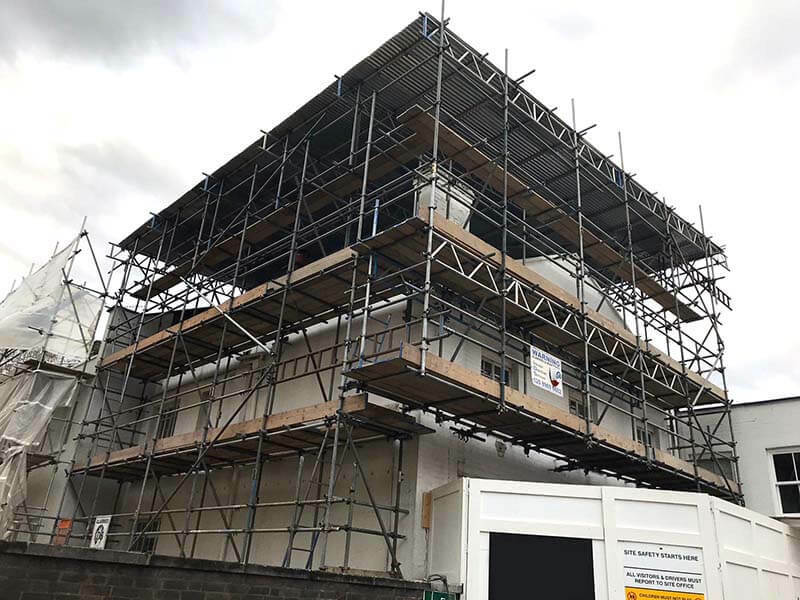 B&J Scaffolding has been on the market for over 12 years, so its representatives are fully familiar with the needs of clients. We will help you select the right scaffold for your projects, as well as will offer assembling and disassembling it to save you time and hassle. Do not wait even a moment longer and give us a call or get in touch with us. We can ensure you that the cooperation with our company will be more than fruitful in character!